Because of the US Government’s cut back on the number of refugees admitted to the country and the high cost of living in San Francisco, the Guardian Group decided in May, 2018 to suspend its regular meetings and work. Read more. 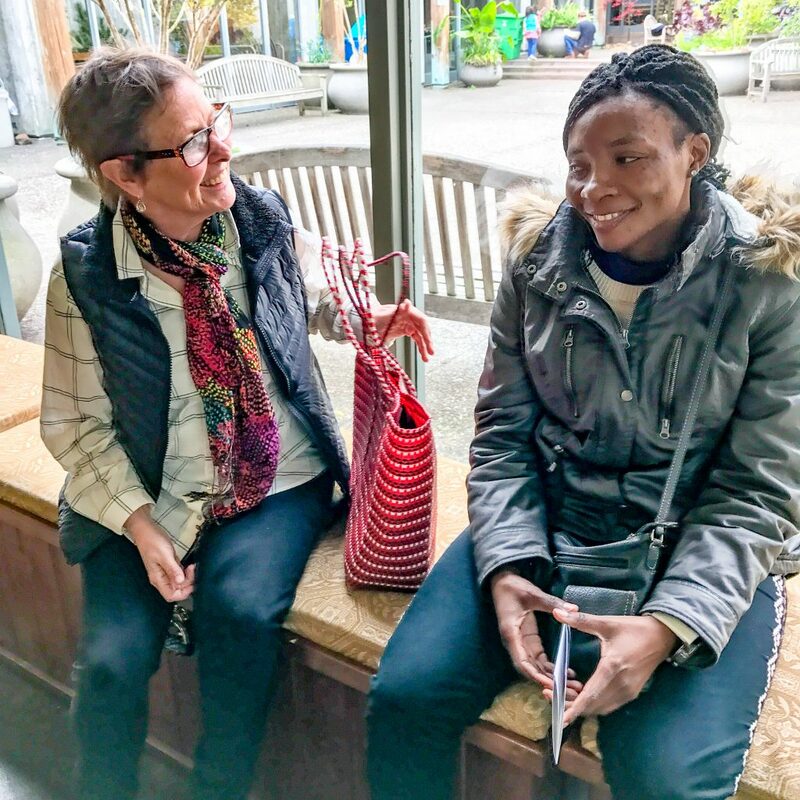 Members of the Guardian Group provide support to sexual minority refugees, asylum seekers, and asylees who are being resettled in San Francisco and nearby cities. All people being assisted by the group are in the United States legally. The group’s work includes practical assistance such as helping a newcomer navigate governmental paperwork. More importantly, the Guardians are people refugees can rely on to give independent advice and to provide unconditional friendship. The Guardians often hear of needs that are not met by any governmental service and devise ways to obtain what is needed for the refugee. With other members of the Group, Guardians determine what can be funded by donations or what alternatives can be developed. Money in the past has been used for needs such as dental work, MUNI passes, and short-term rent subsidies. The Guardian Group is a social justice action of the First Unitarian Universalist Society of San Francisco. Members and friends of the First Unitarian Universalist Society of San Francisco participate in the Guardian Group in different ways. Assigns refugee support tasks, raises funds, coordinates acceptance of refugees, plans strategy, worries. A mentor and her client. Offer ad hoc support by providing rides, accompaniment to a specific appointment, and an invitation to a dinner/event. Donate time and/or money. You can assist in many ways with many different levels of time commitment. Be a non-anxious, non-judgmental friend to a person without local family. Help newcomers navigate Social Security, DVM, MUNI, and Costco. 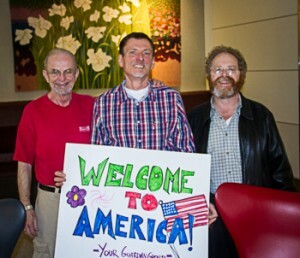 Invite a refugee into your home for a dinner or to a cultural or sporting event. Spread the word among your contacts about the need for inexpensive housing. Coach a refugee in job search skills including resume writing, application completion, and interviewing. Provide a room that you are willing to let a refugee live in for a period of one to several months. See our a list of pressing needs. Public agencies help refugees by providing them about $200 in food stamps and $300 cash assistance for eight months. This is not enough to live on. Pay move-in costs in shared housing situations. Support job searching activities by fixing a computer, paying for extra transportation, etc. Donate online now. Please target your gift by putting “Refugee Guardian Group” in the memo line.